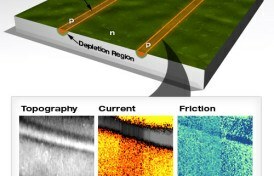 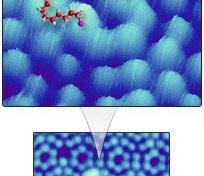 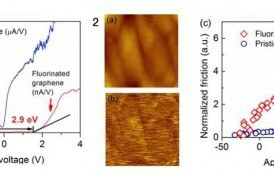 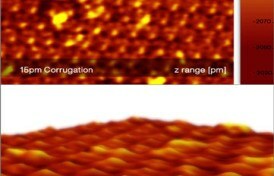 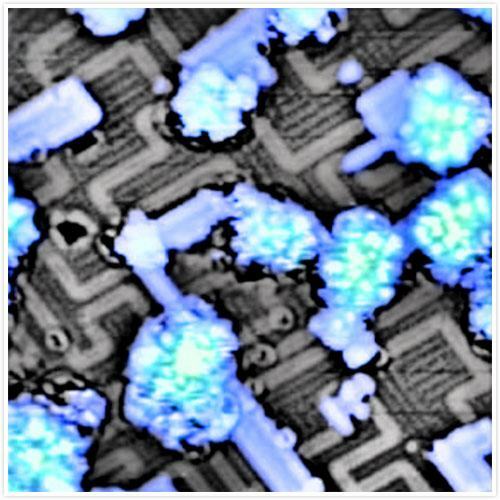 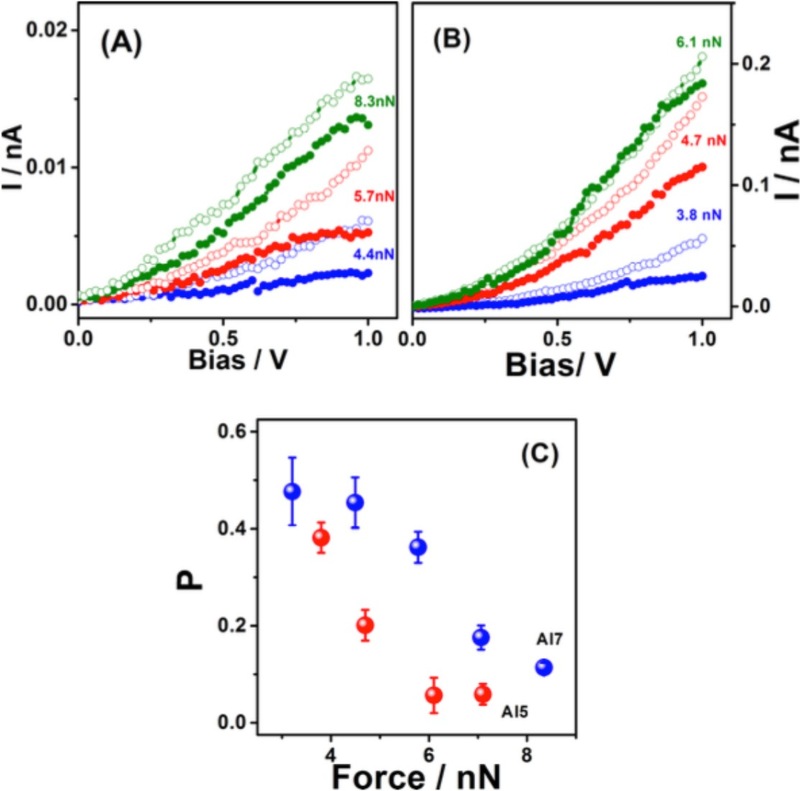 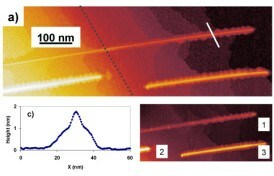 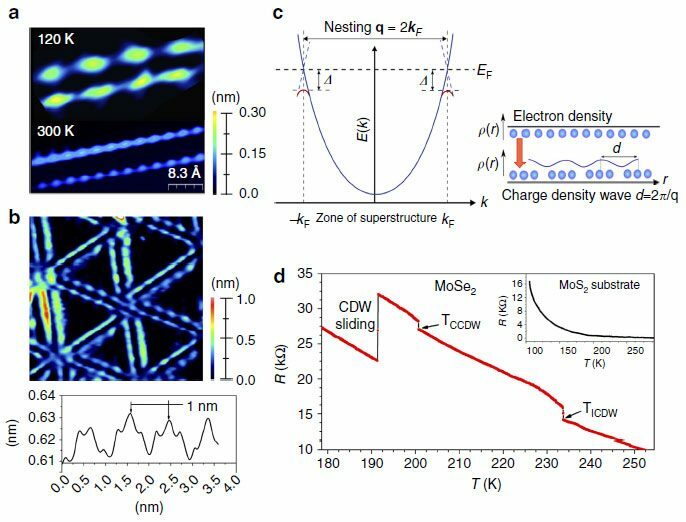 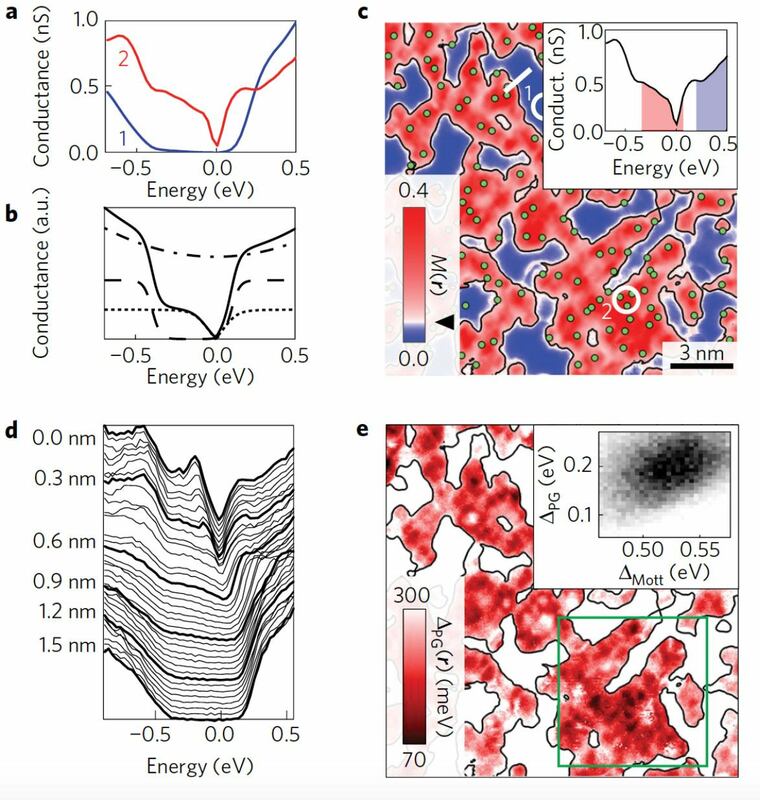 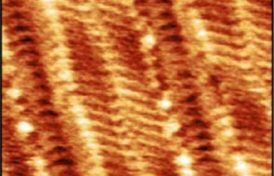 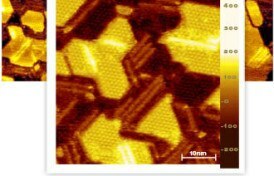 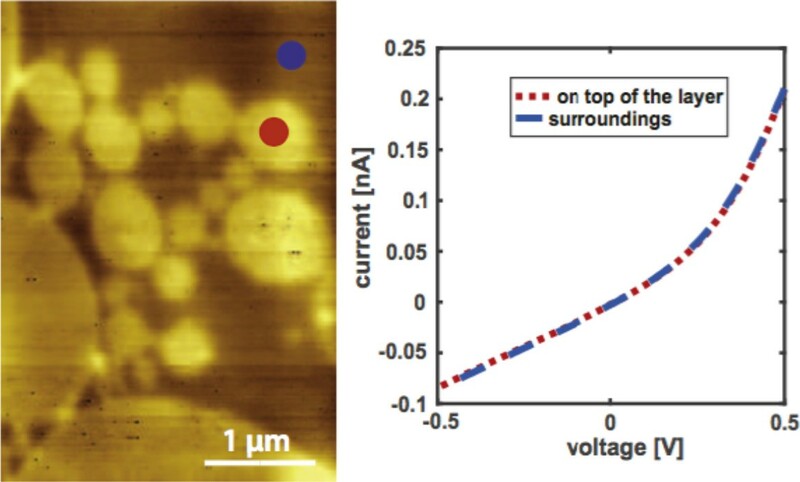 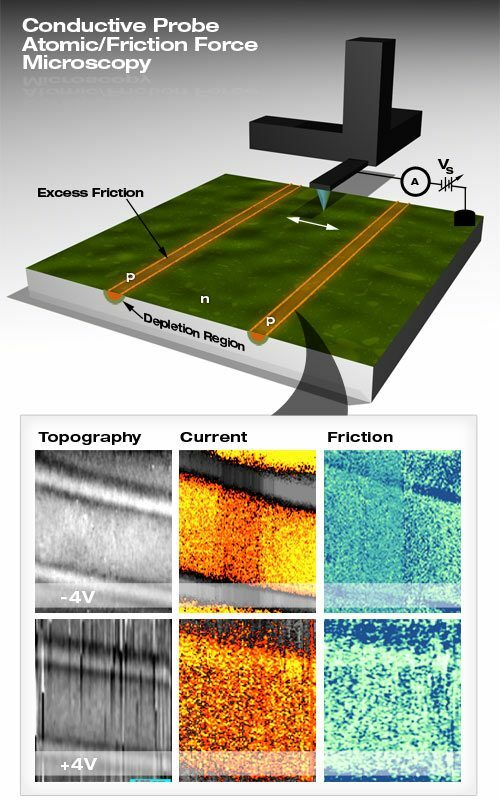 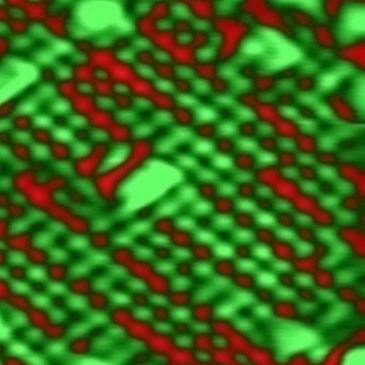 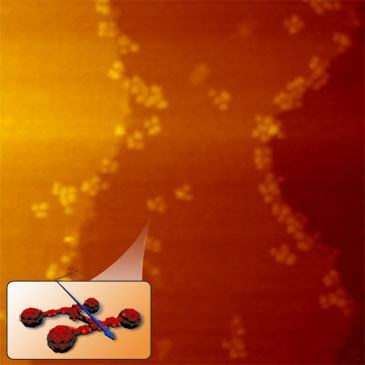 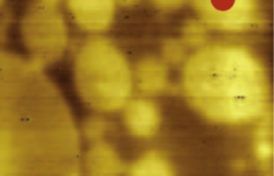 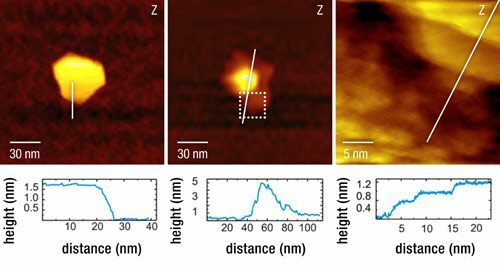 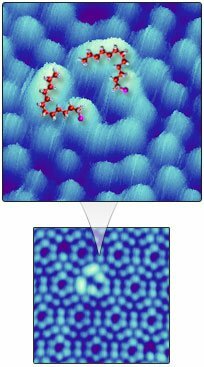 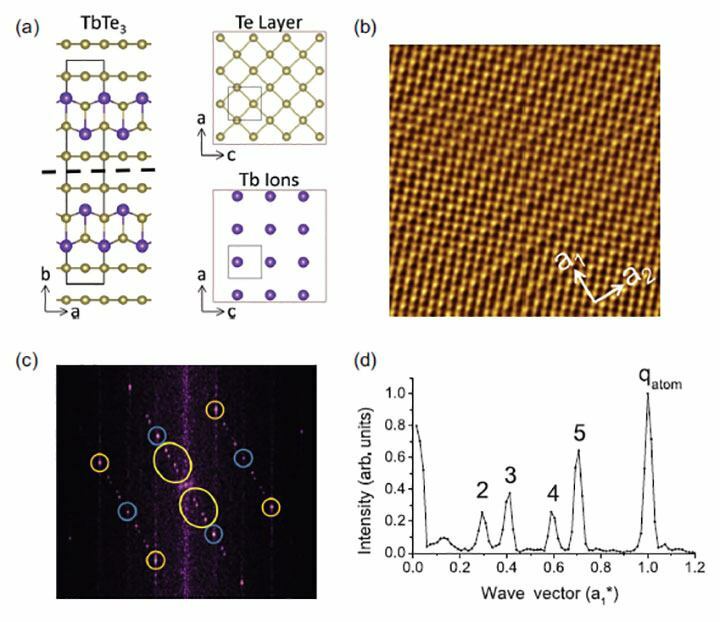 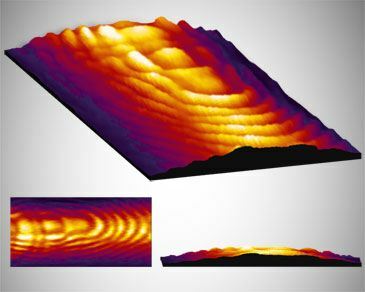 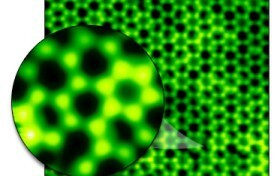 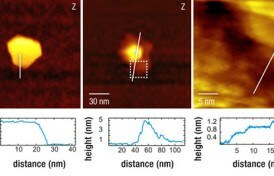 Surface-deposition of single molecules on the nanometer scale will be crucial for many applications in nanotechnology since even single molecules are expected to serve as functional elements in nanoelectronics, nanooptics, nanomechanics and nanoquantumoptics. 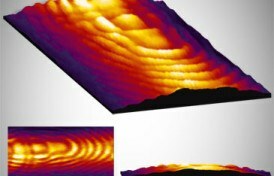 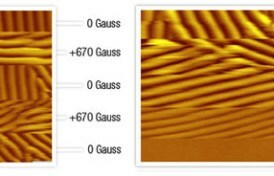 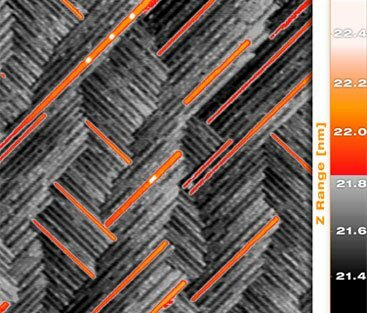 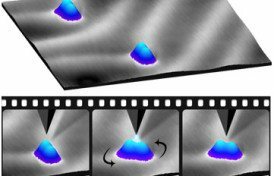 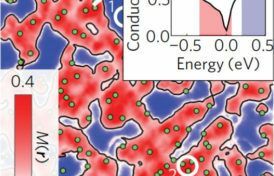 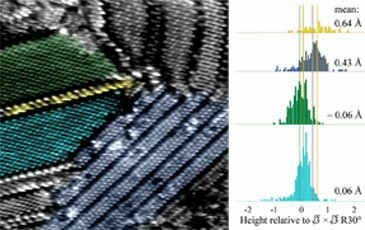 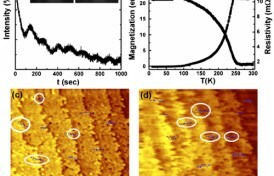 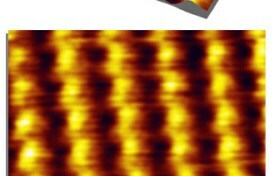 The quantum wave nature of massive objects is already nowadays routinely used to shape and characterize materials on the nanoscale, e.g. 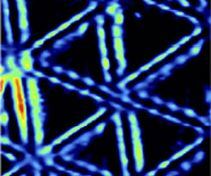 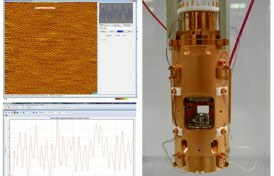 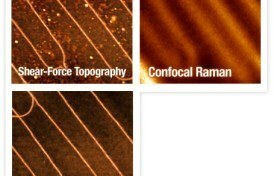 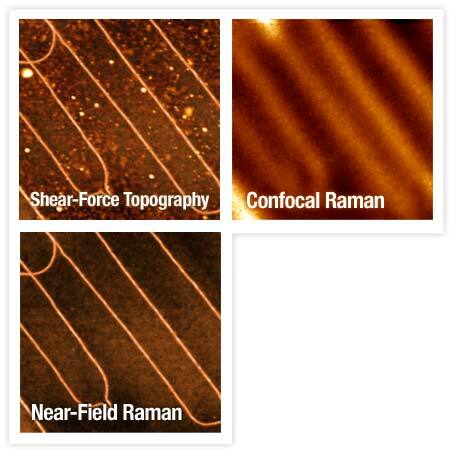 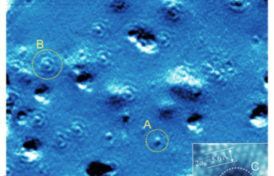 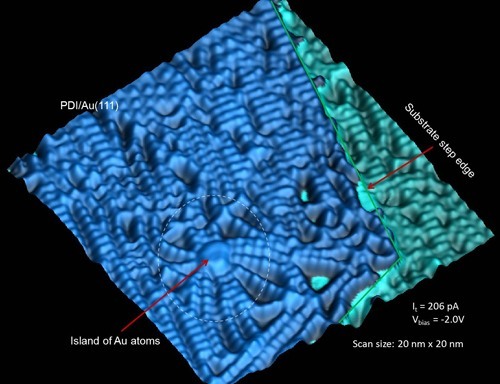 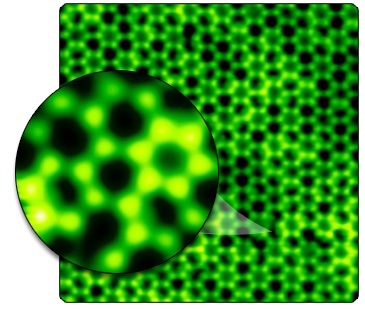 in electron microscopy, neutron diffraction or atom interferometry. 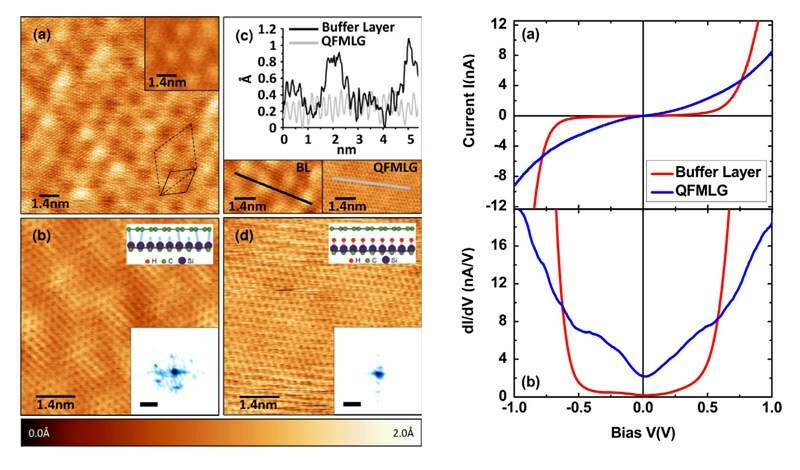 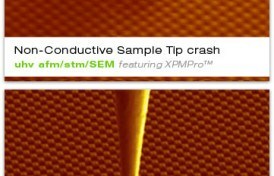 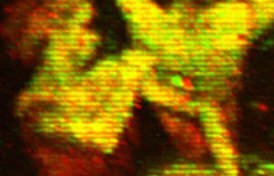 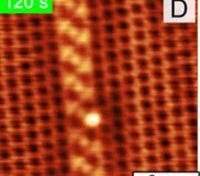 Here we report on the first experimental demonstration of quantum interference lithography with complex molecules. 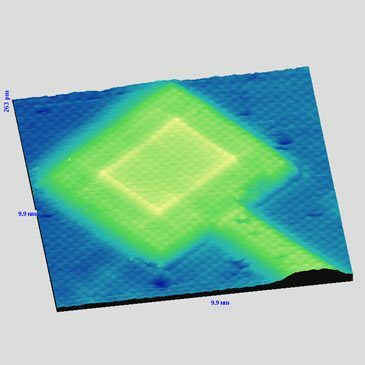 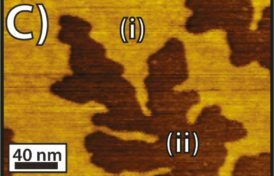 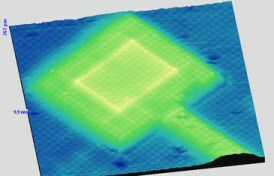 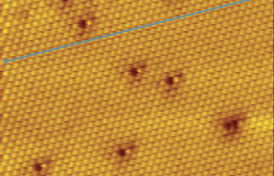 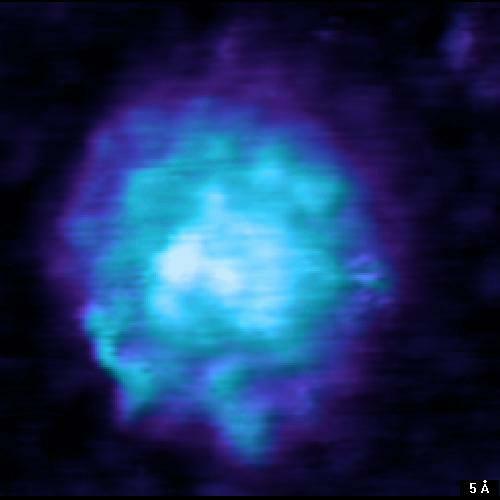 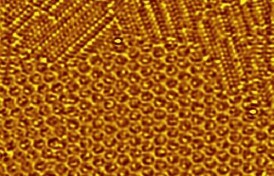 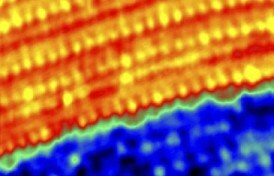 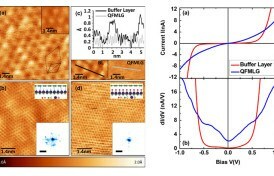 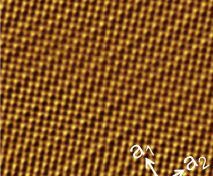 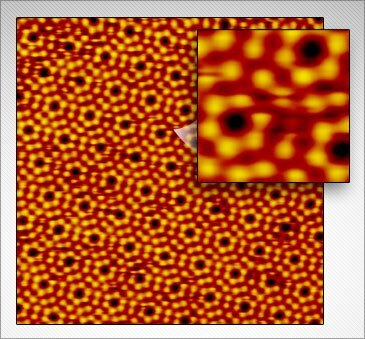 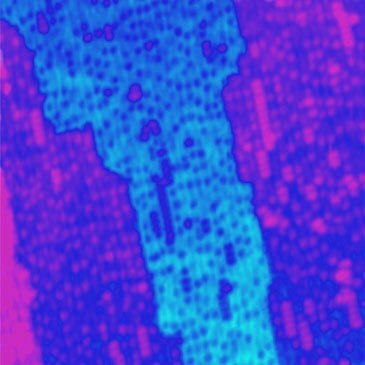 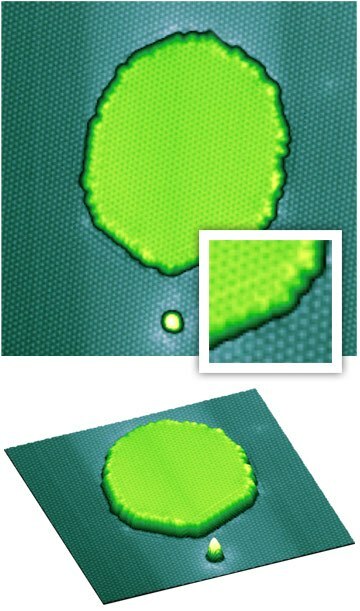 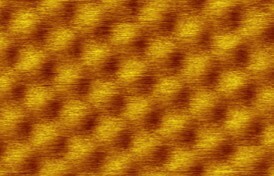 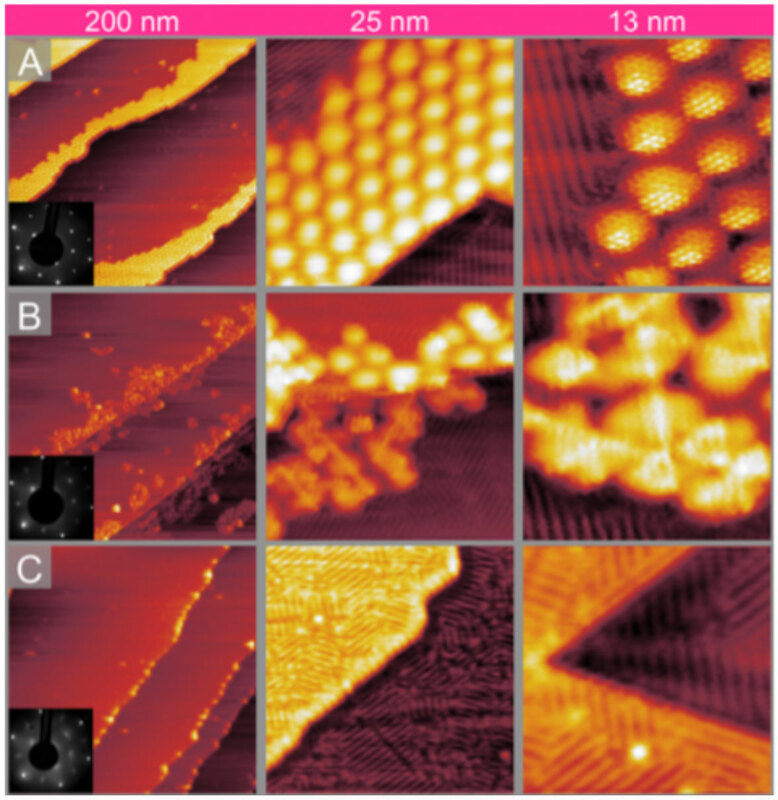 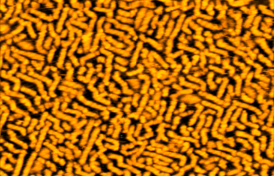 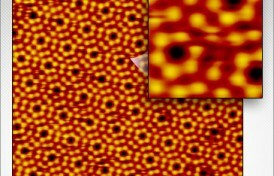 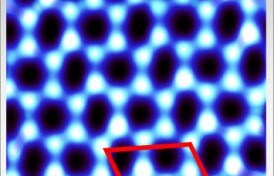 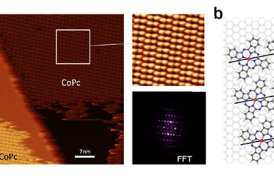 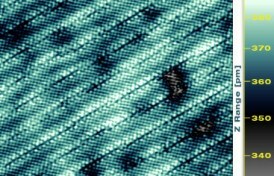 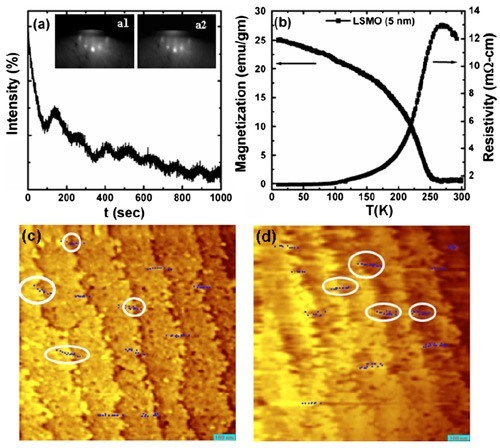 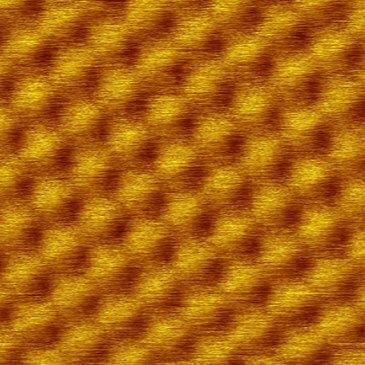 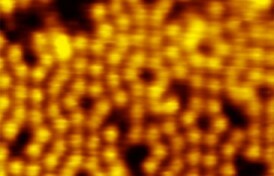 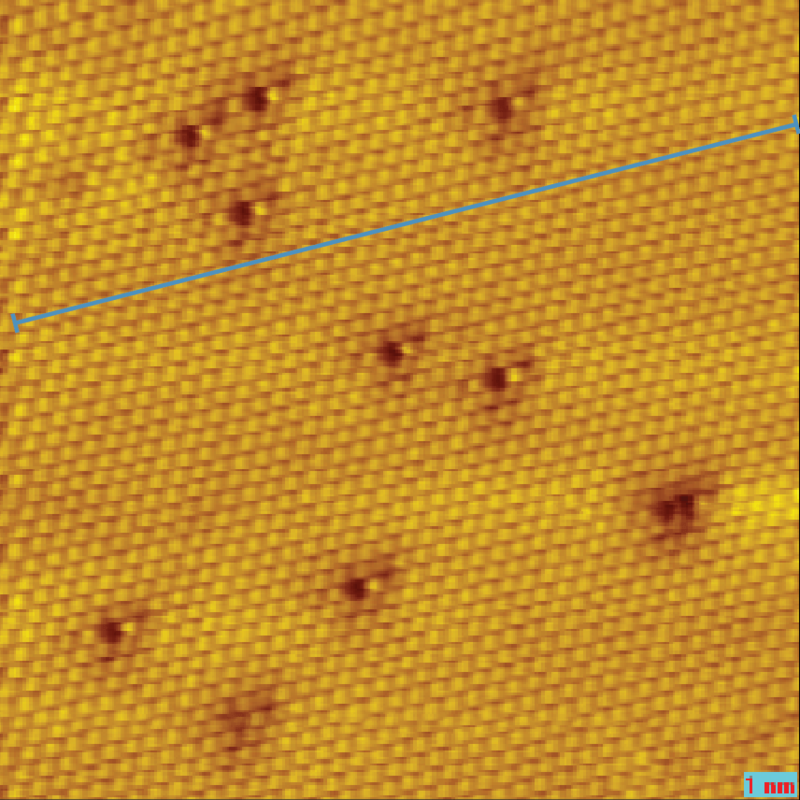 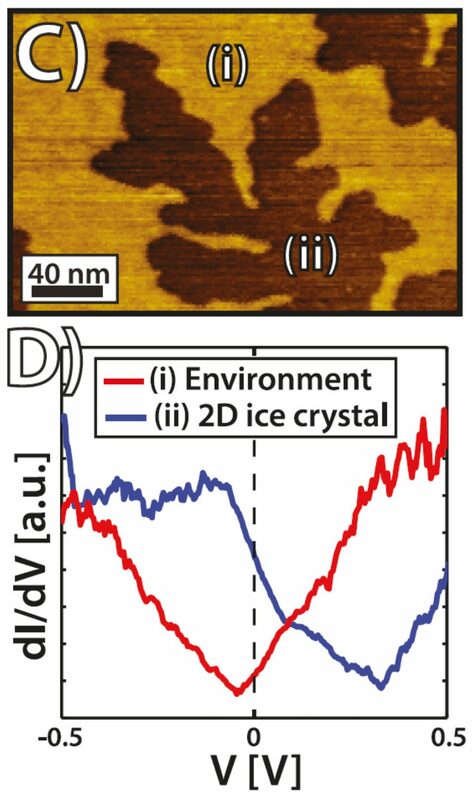 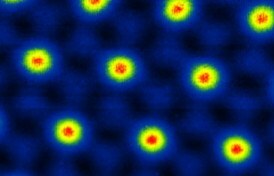 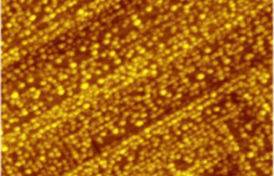 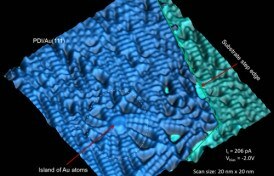 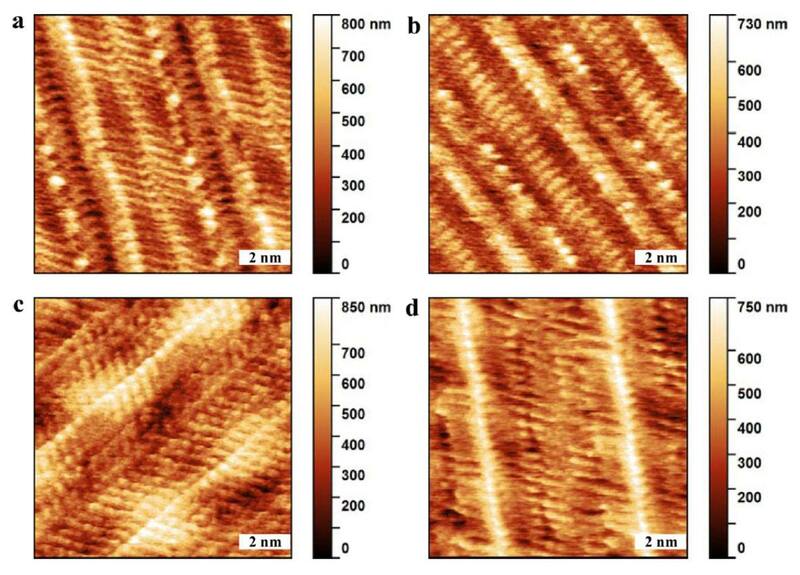 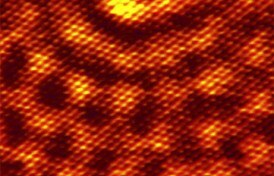 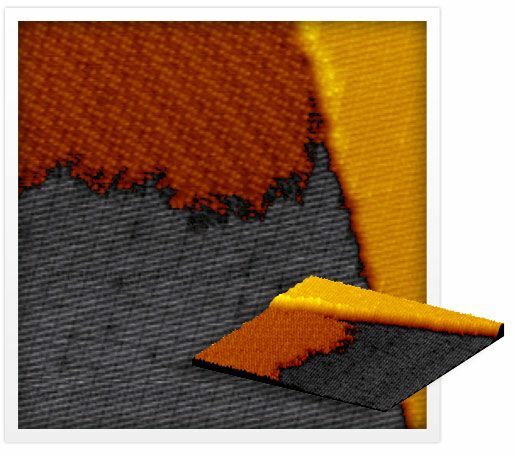 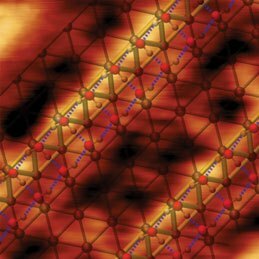 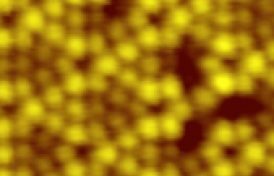 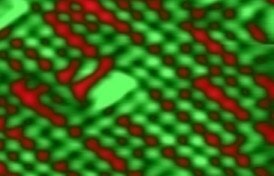 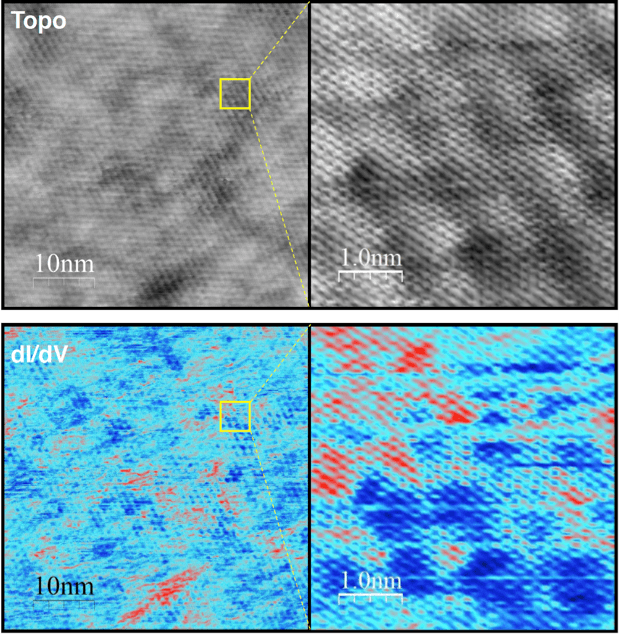 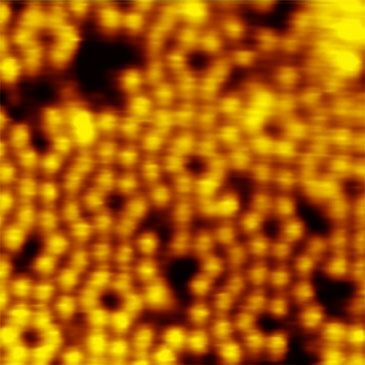 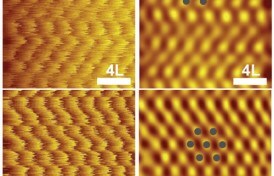 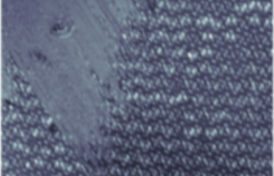 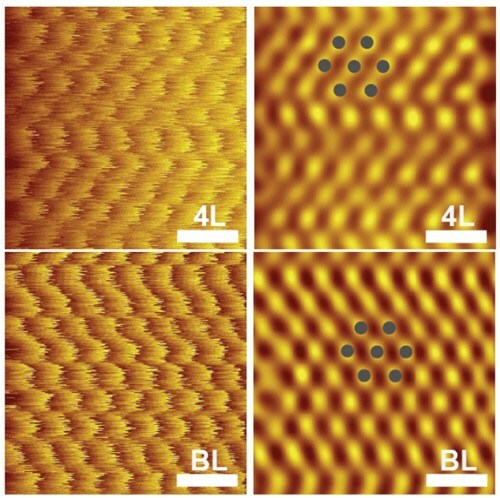 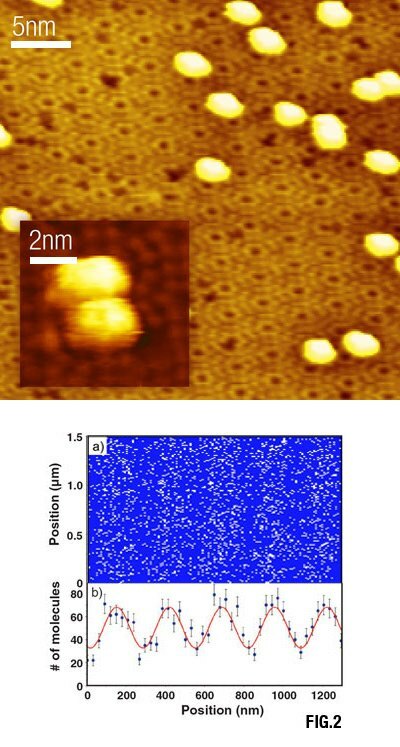 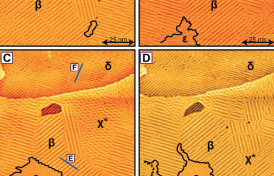 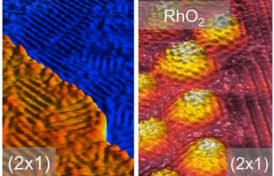 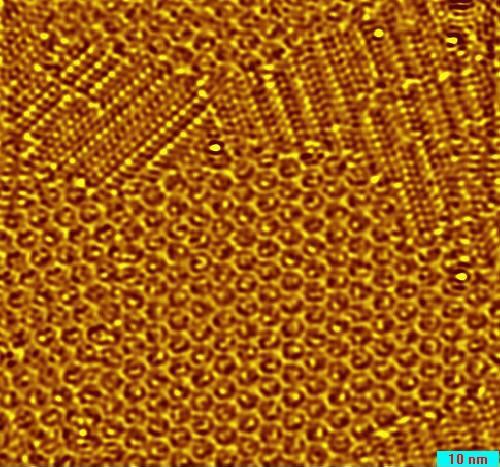 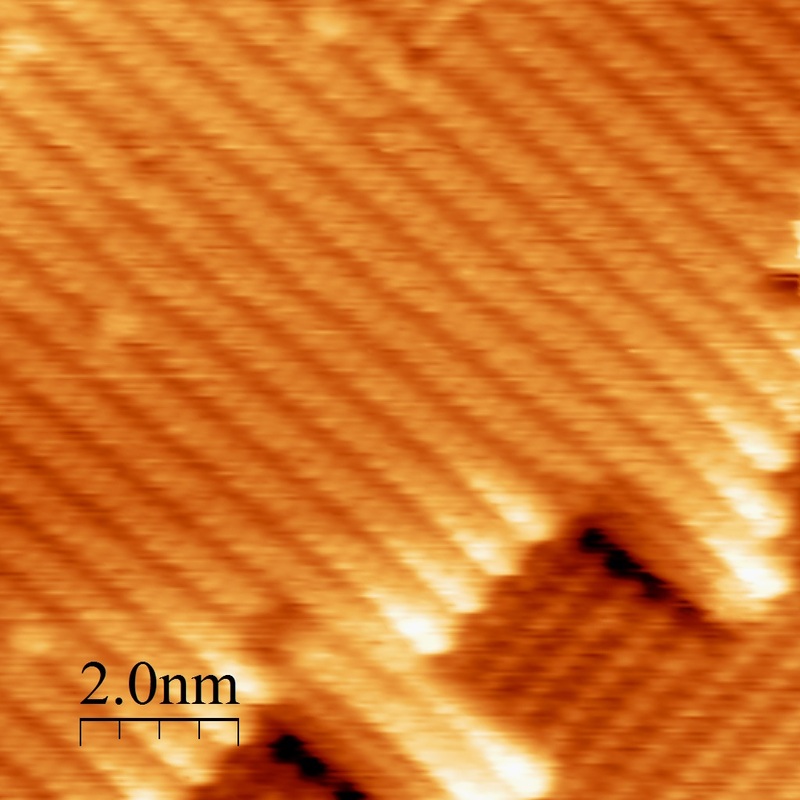 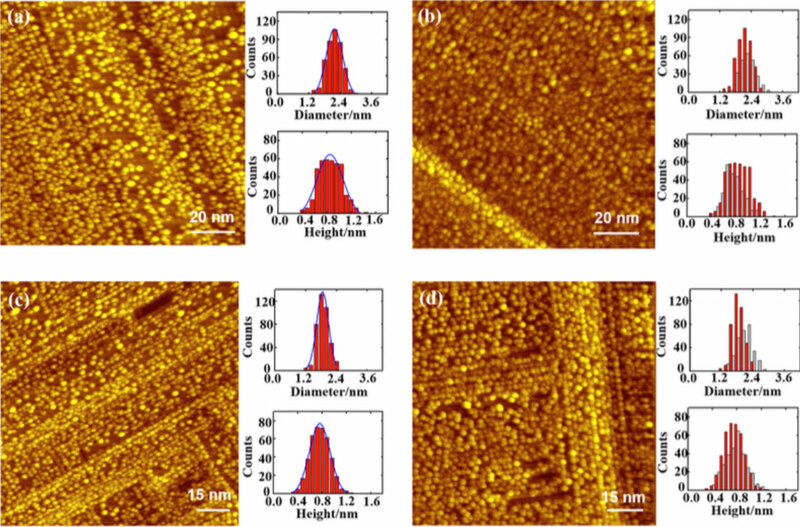 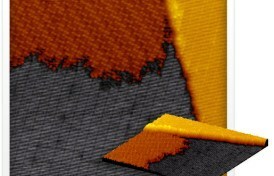 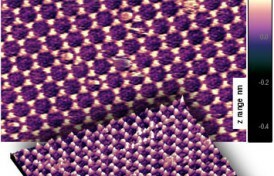 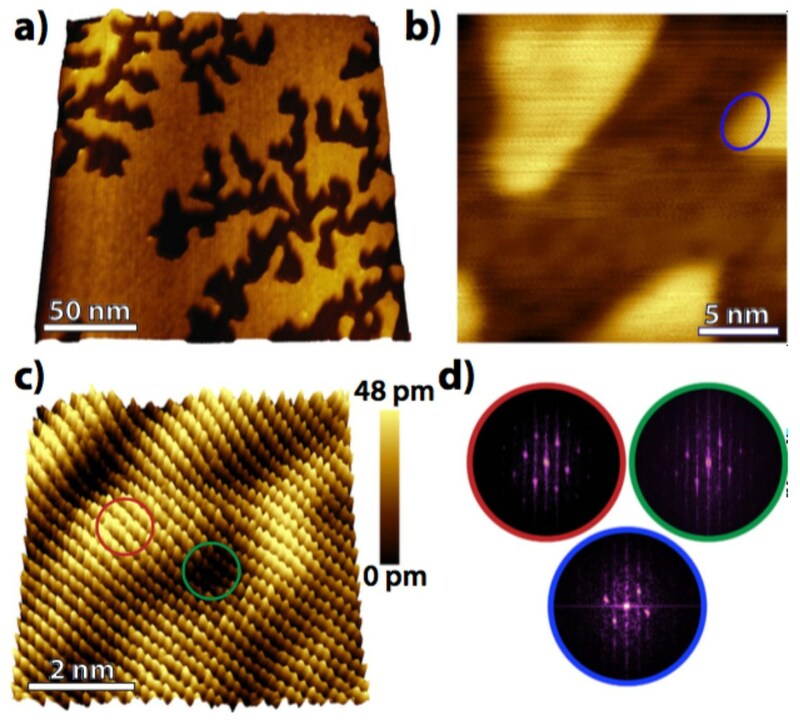 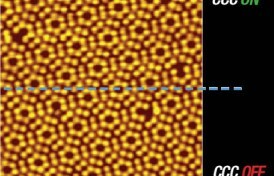 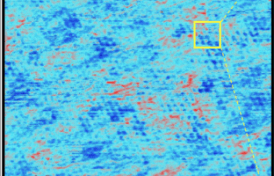 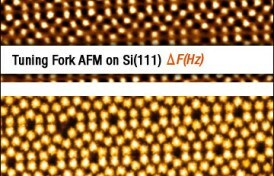 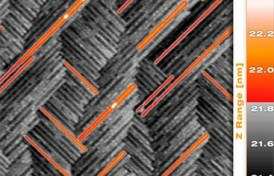 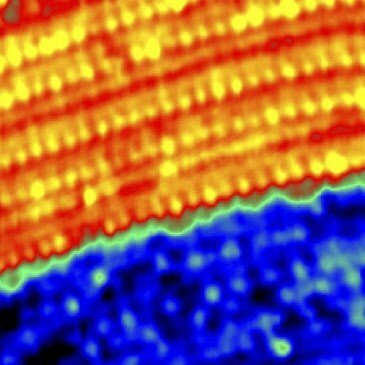 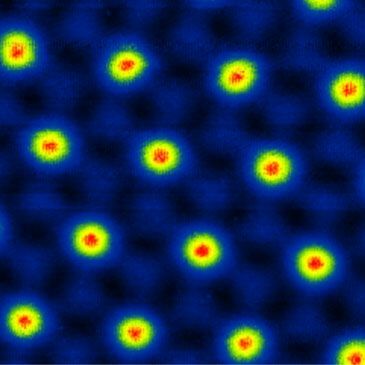 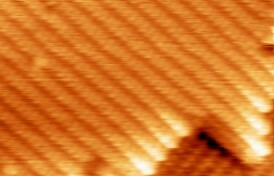 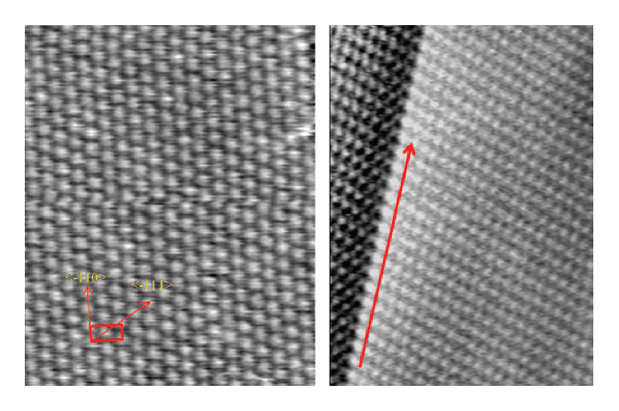 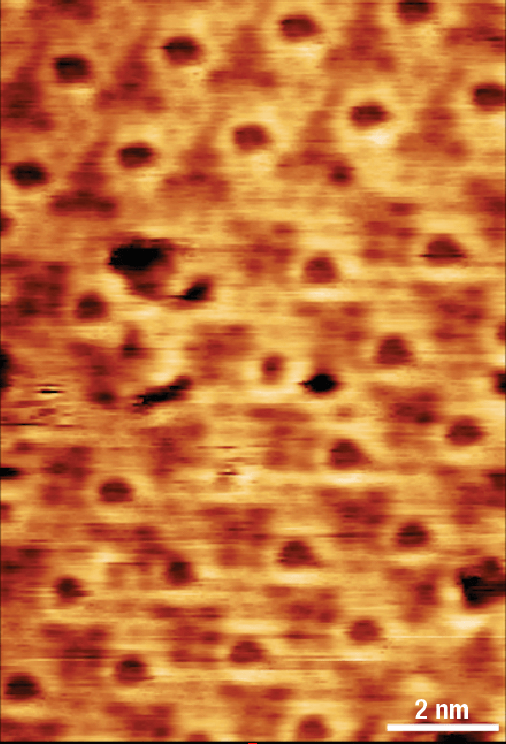 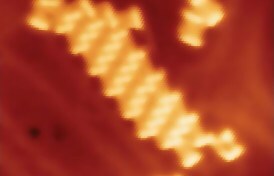 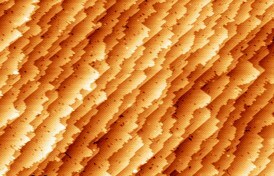 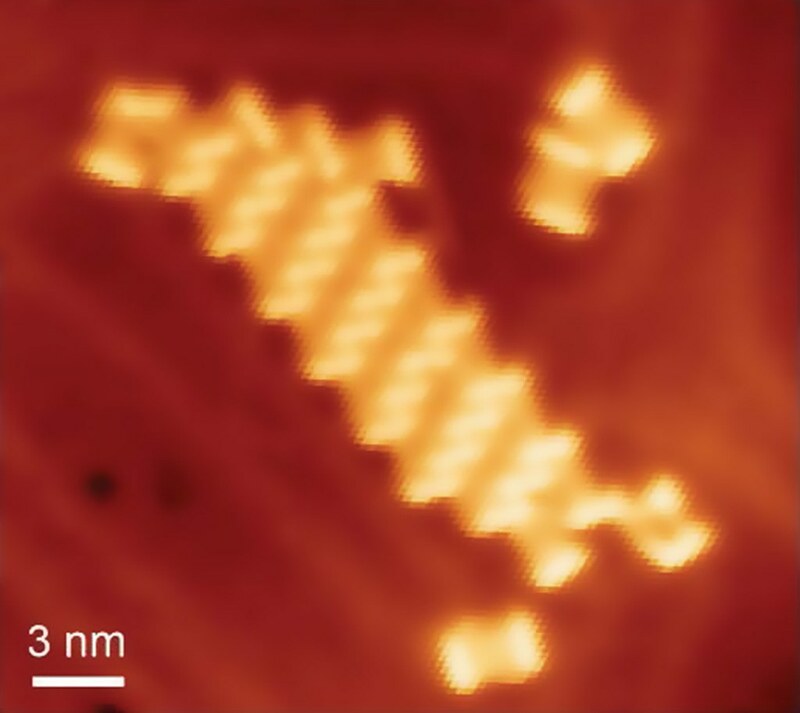 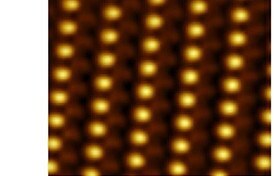 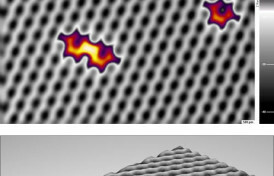 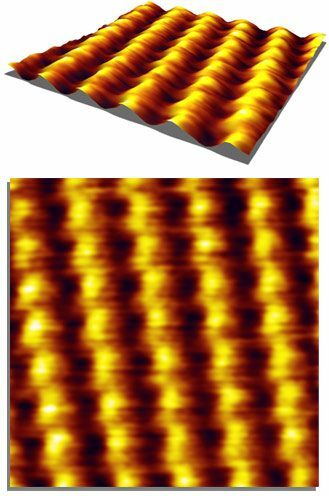 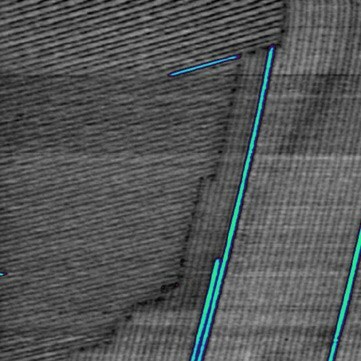 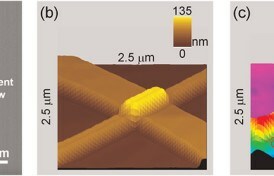 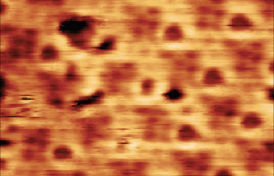 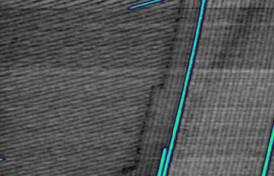 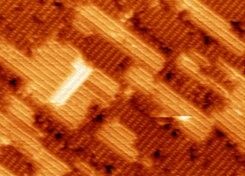 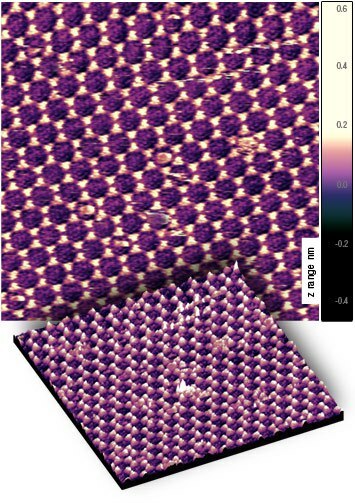 Molecular quantum interference patterns are deposited onto a reconstructed Si(111) 7×7 surface and imaged using scanning tunneling microscopy. 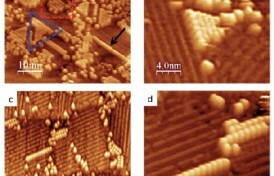 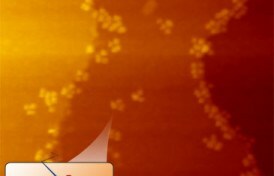 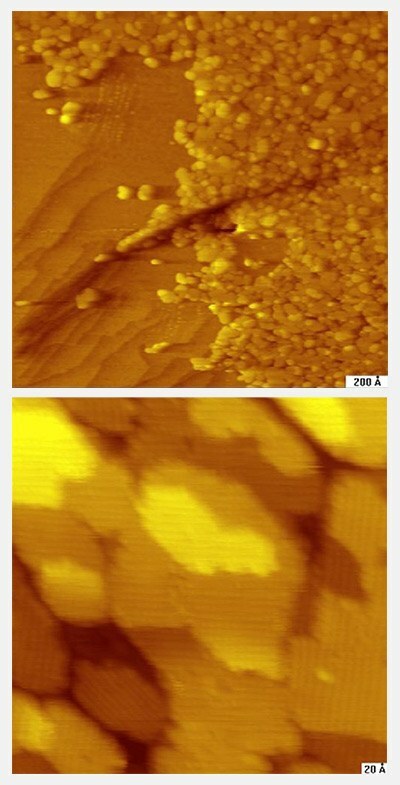 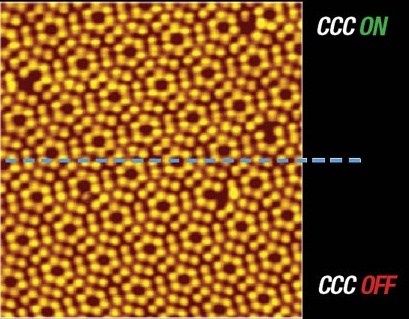 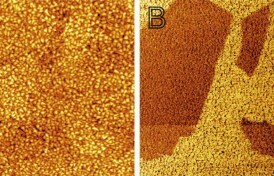 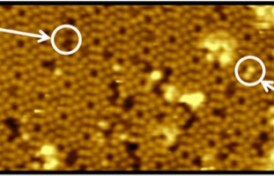 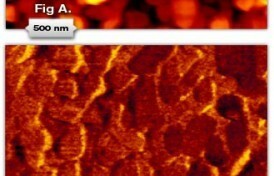 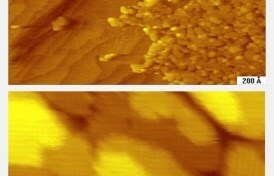 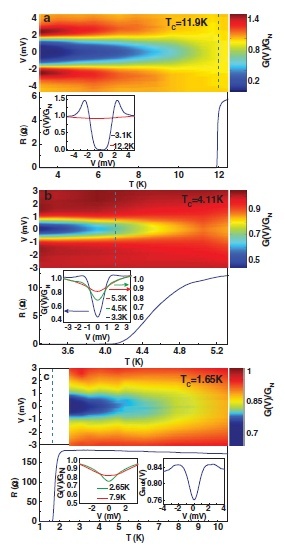 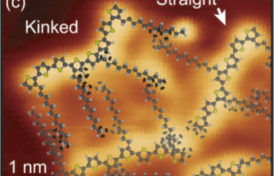 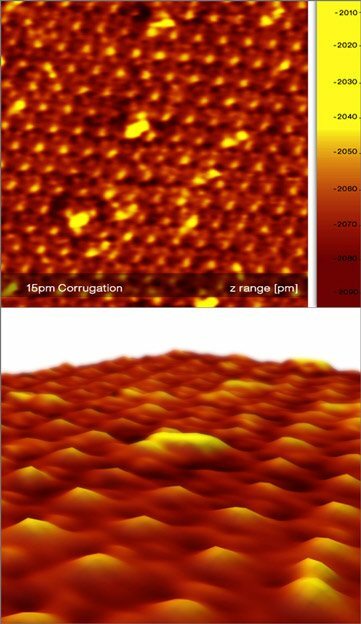 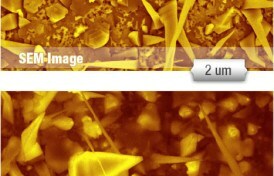 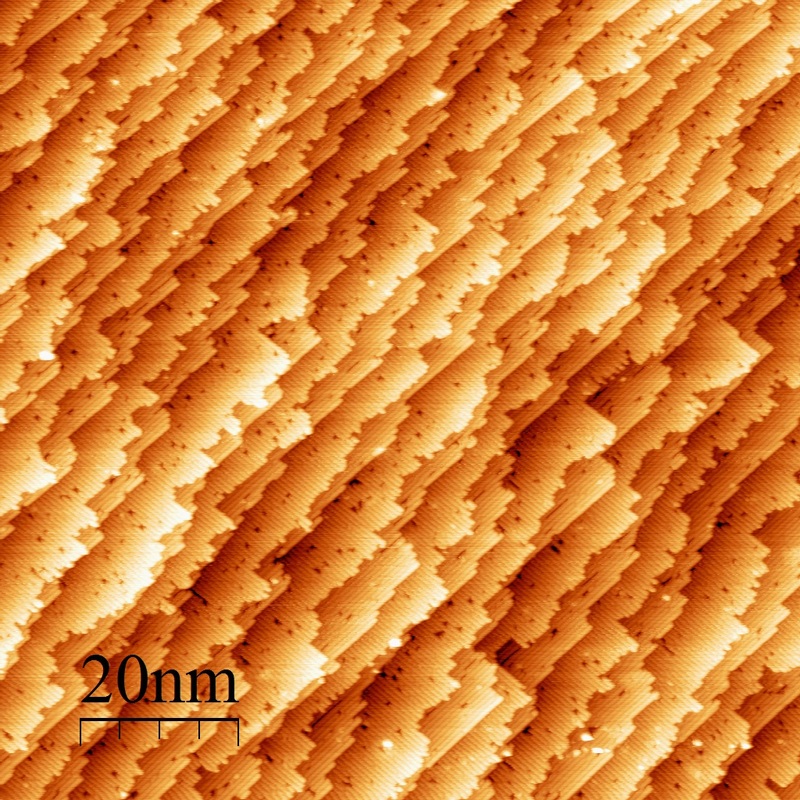 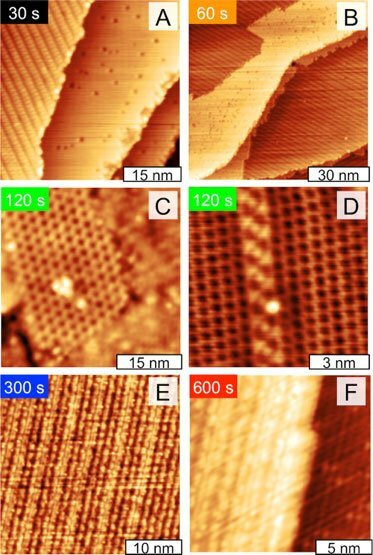 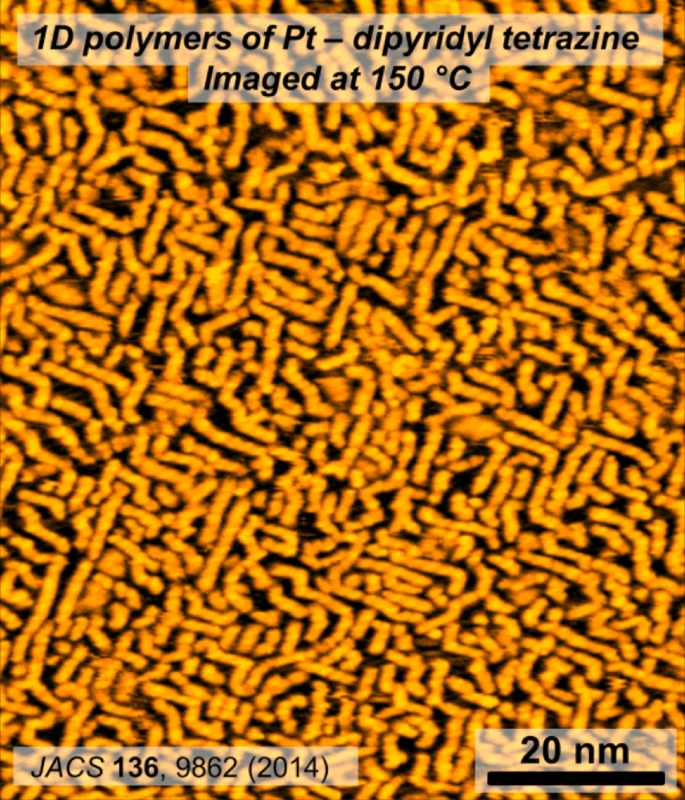 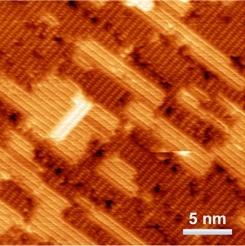 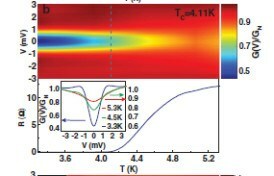 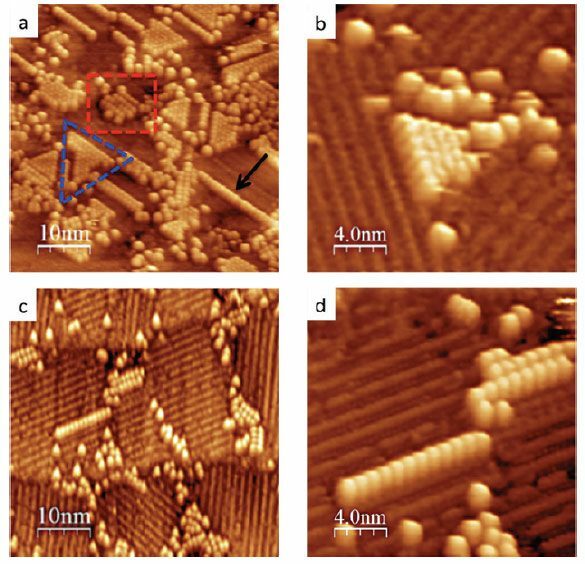 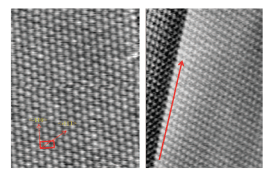 Figure 1 shows single C60 molecules deposited onto the surface. 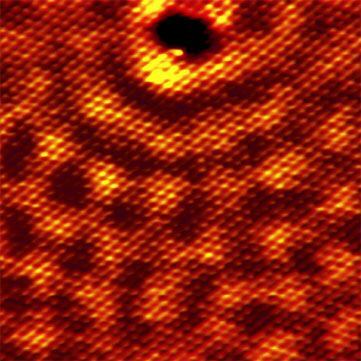 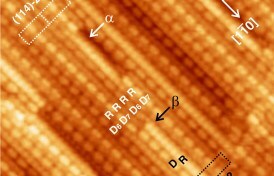 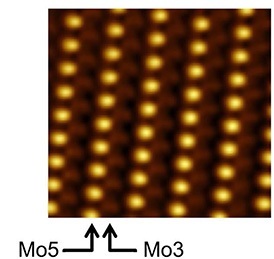 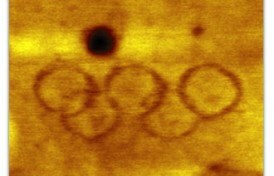 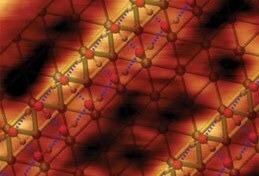 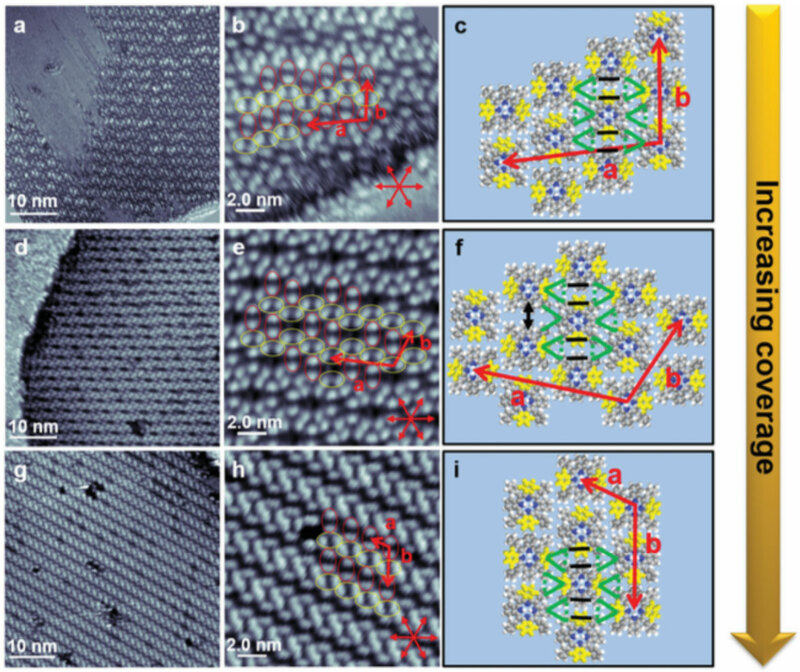 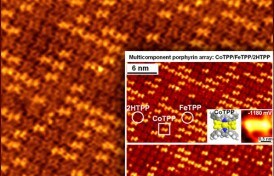 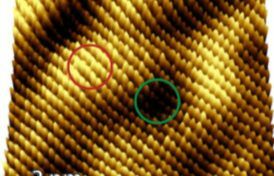 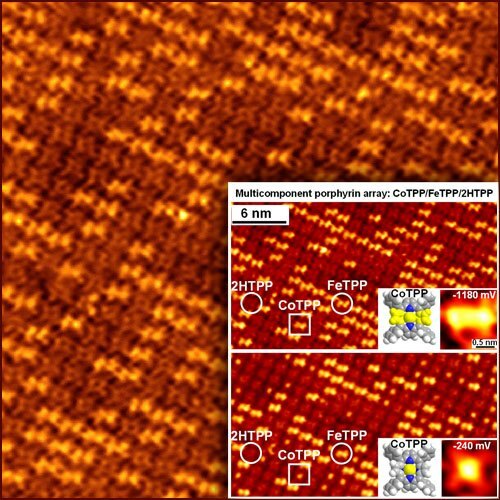 In the inset one can even get a glimpse of the inner molecular ring structure. 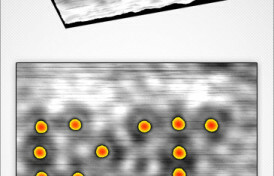 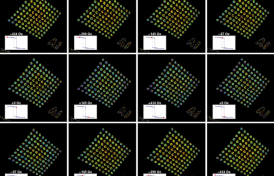 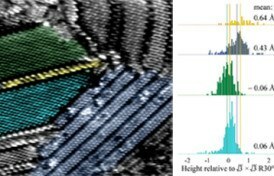 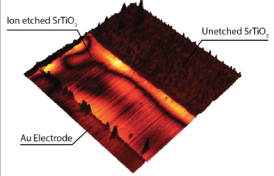 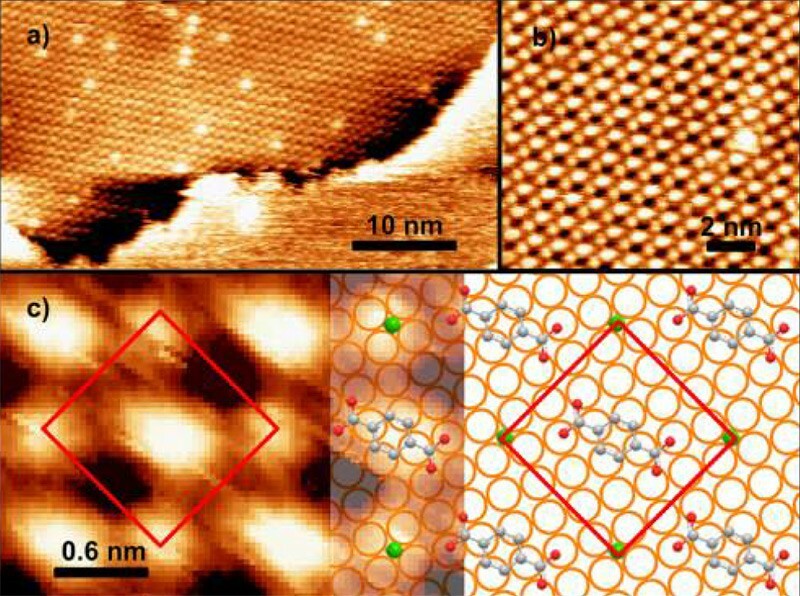 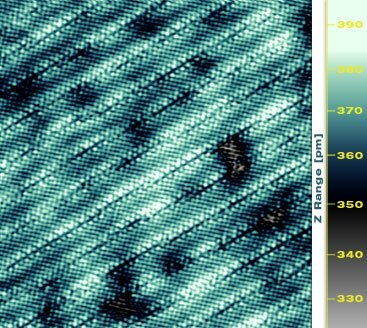 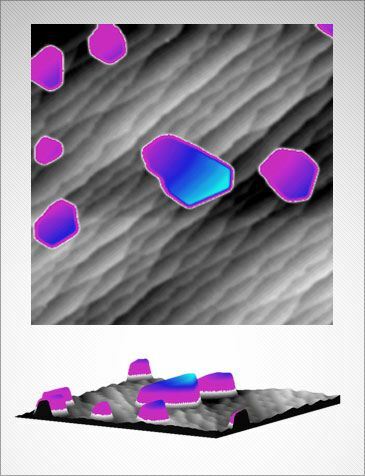 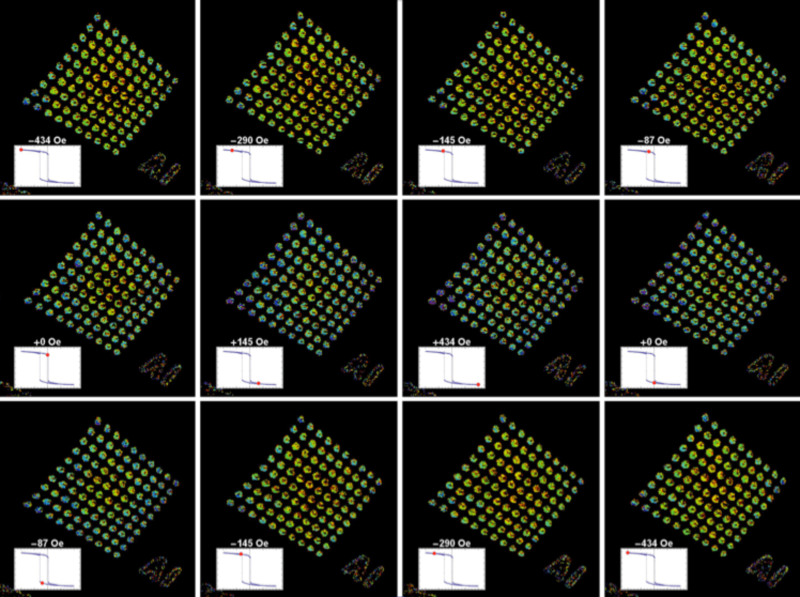 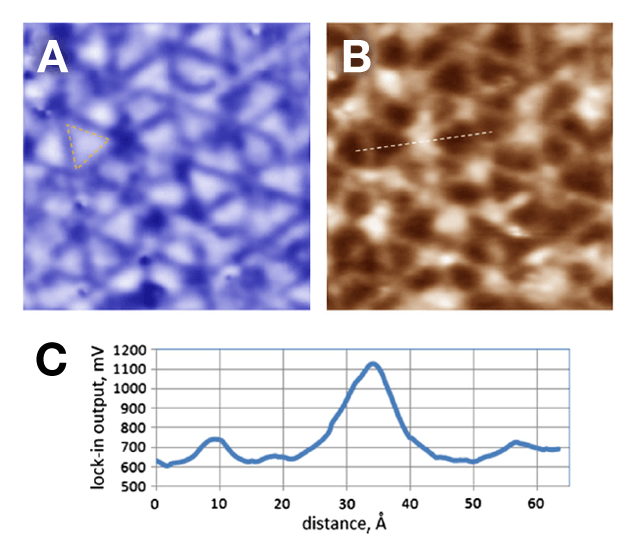 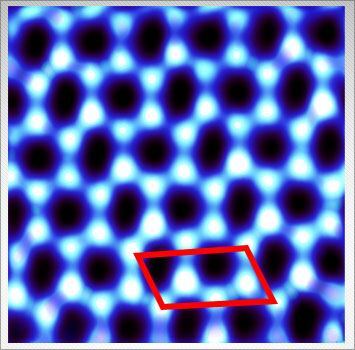 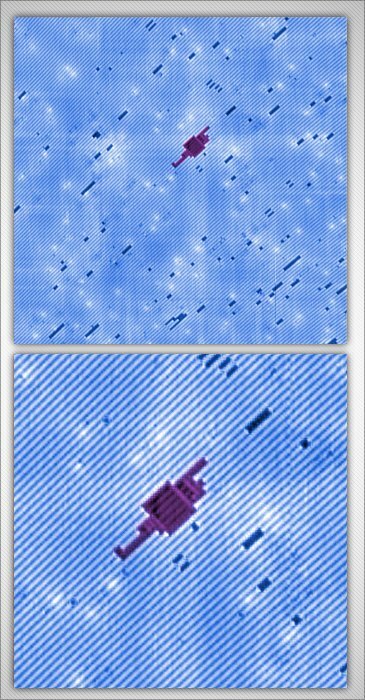 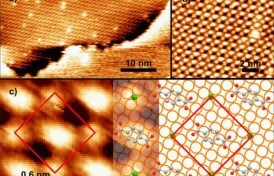 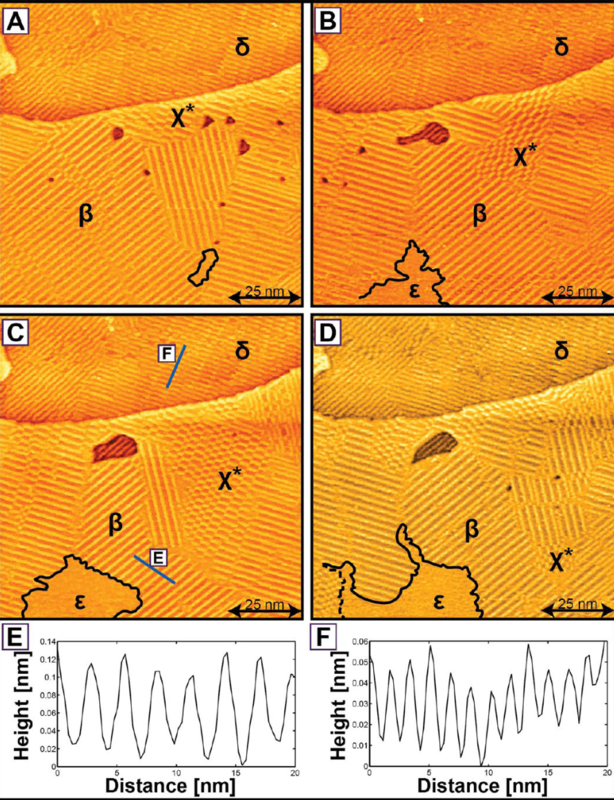 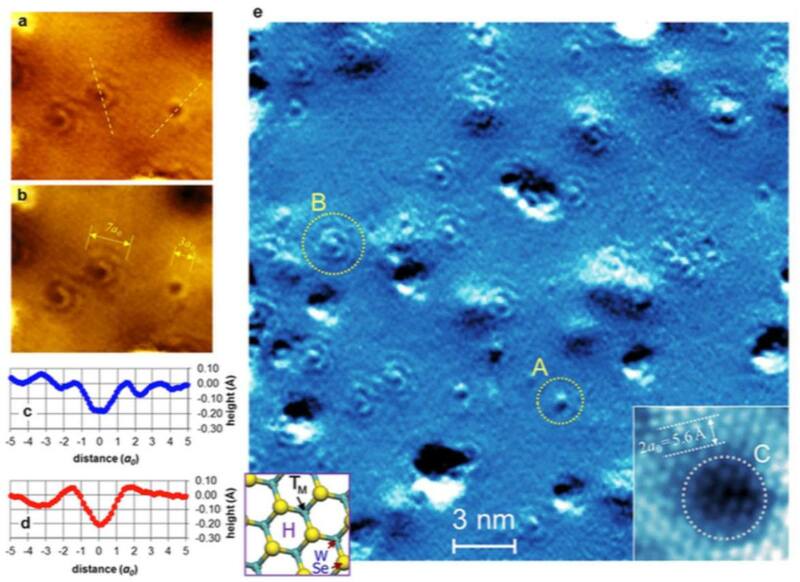 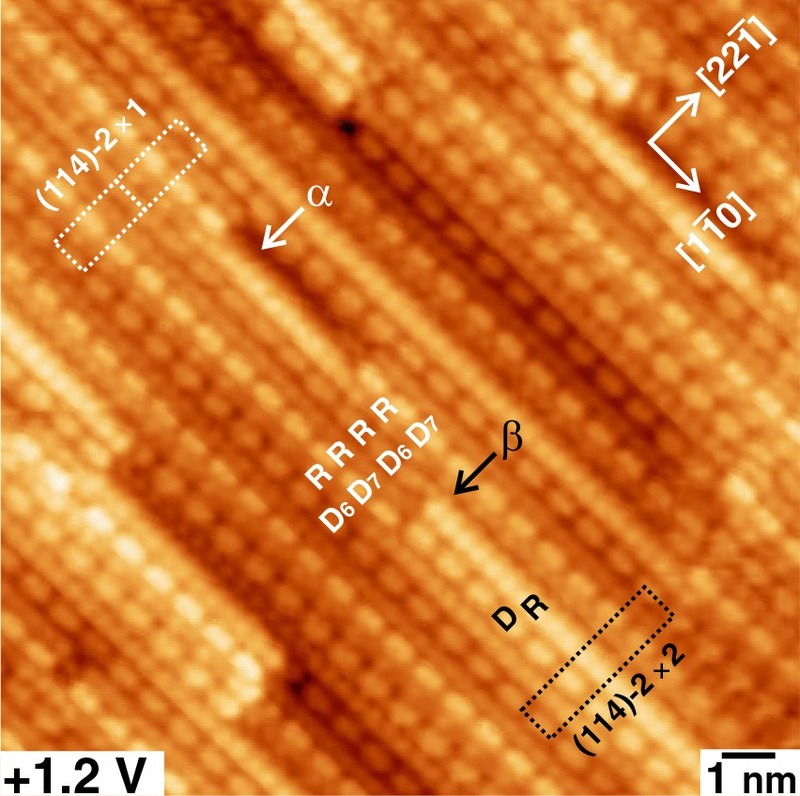 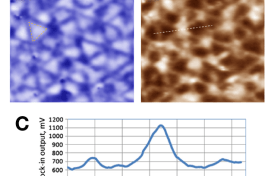 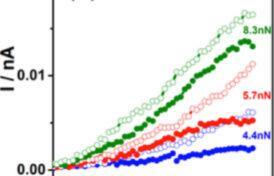 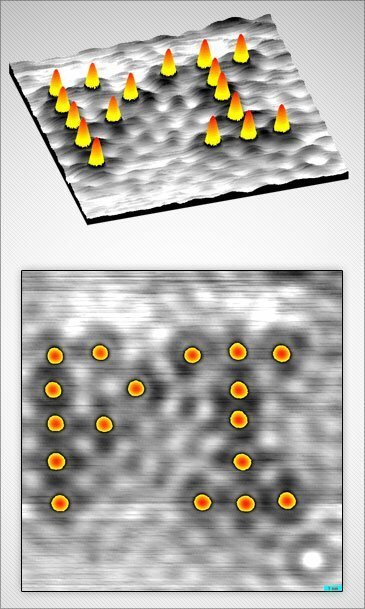 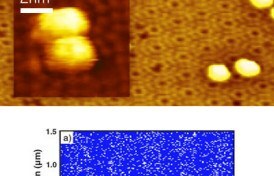 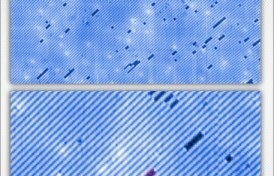 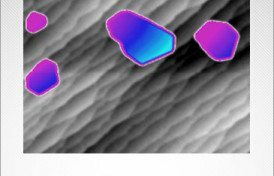 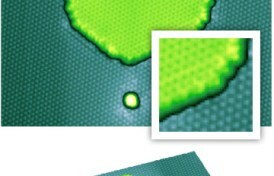 In figure 2 the white dots represent the coarse grained digitized images of individual molecules. 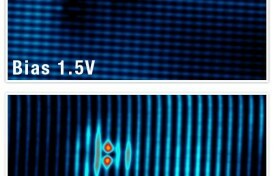 The period of the interference pattern is 267 nm. 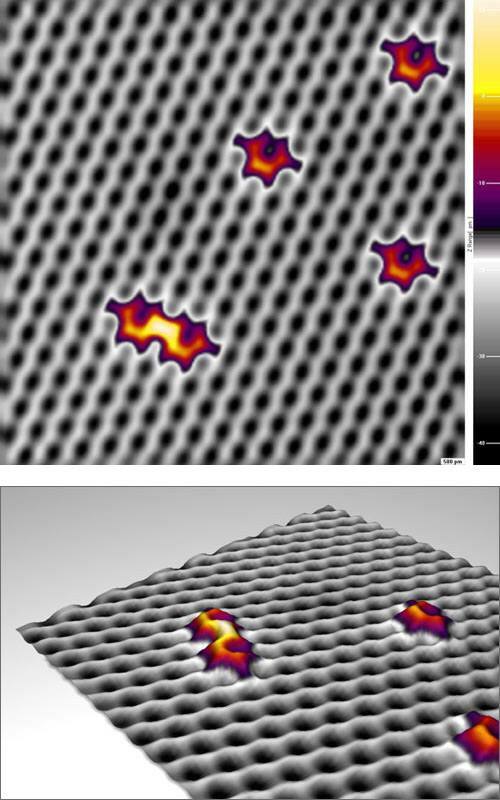 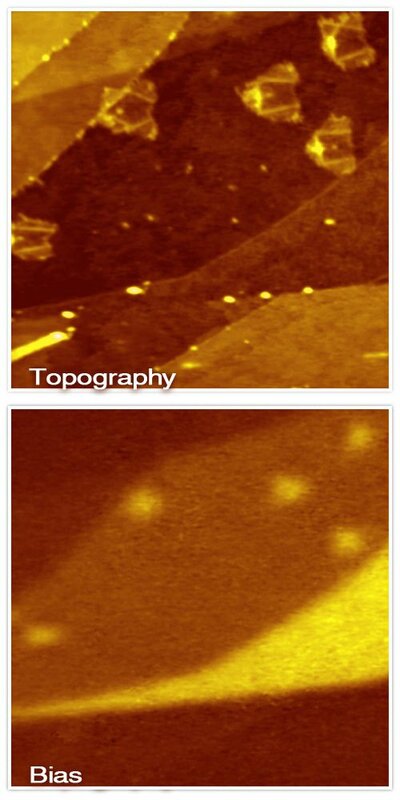 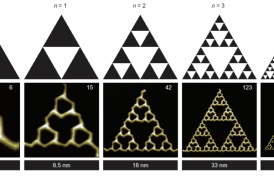 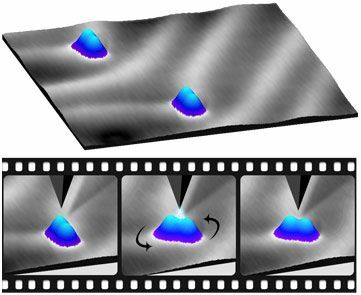 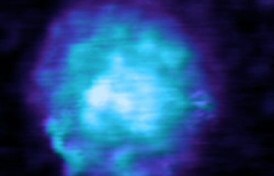 Both the particle and the quantum wave character of the molecules can thus be visualized in one and the same image when nanolithography becomes part of a sensitive high-resolution detection scheme for quantum interference with large molecules. 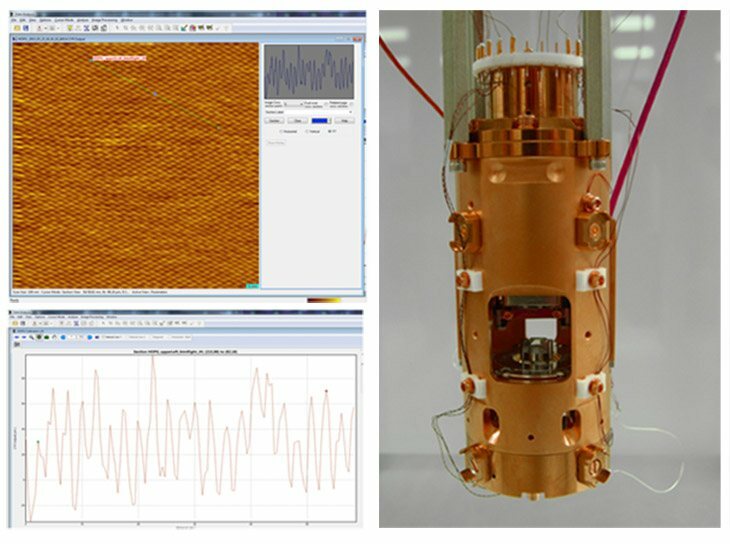 RHK Technology SPM 1000 Control System featuring XPMPro, PLLPro AFM Control System, and PMC100.